After speaking to several of my fellow writers I thought I’d better put up the following warning in the interest of public safety. If you are a family member of a writer, please take this to heart. If you are a writer, you might want to print this up and post it in your writing area. If a writer is engaged in the writing process (eyes transfixed on computer, storyboard, or notebook), please do not approach him/her and attempt to conduct a conversation. The writer cannot hear or understand what you are saying. Even if the writer appears to nod or mumble an affirmation, it is highly unlikely they have comprehended anything and may not even remember the conversation at a later time. You can attempt to break the writer’s attention away from their work, but this is not recommended as the writer may become confused, disoriented, or agitated. 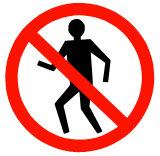 It is best to leave the writer alone until he/she voluntarily walks away. Okay, this weekend can official be classified as strange…and amusing. You might have read in previous posts about the occasional misprints which have occurred with my book’s cover. Once it came out an interesting alien green and another time a definitive pink. I’ve blogged about it and laughed about it with my friends and family, but it was never a big deal. I just assumed mishaps were part of the process. Then, on Saturday afternoon, I received a call from one of the managers at my publisher. He quickly began apologizing for the misprints….I’ve never mentioned it to my publisher! Here’s where it begins to get weird. Horrified, she immediately called the manager, who in turned called me to discuss the issue. I told him I didn’t think it was that big of a deal, but he was quite disturbed by the idea. It seems this has only happened once before in the history of my publisher, and in that case the cover was much like mine in subtle color tones. So how are they going to fix this problem? Instead of running off small batches of my book per request of the distributor or bookstores, they are going to print 500 copies of my book in one shot. Yes, 500 copies! Apparently, running large batches lessens the chance of misprints. 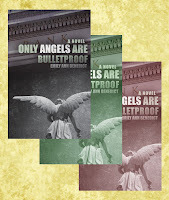 So, Only Angels Are Bulletproof has entered it’s very first large printing run…all because of a little too much pink and a little too much green. Well, all I know for sure is this is a good time to start ordering books because the distribution time will be cut down by a few weeks. Face Book Fan Pages…The IF Debate. I’ve noticed over the past few months there is a bit of a debate going on over whether authors or other businesses that require marketing should have FAN pages on Face Book or just maintain PERSONAL pages. While it’s an interesting debate, I decided this week to set up a Fan page. Why? It is okay to ask people to be your fans: The biggest aversion people seem to have over Fan pages is it asks people to become your “fan.” A lot of people feel uncomfortable doing this. I totally understand this sentiment. Trust me. But I came to the realization that I didn’t have the least bit of a problem becoming a fan of pages my friends set up. They’re not asking me to do anything more than support their work. So why should I be afraid to ask people to follow my page? It is cleaner: My personal page is, well, my “personal” page. It’s full of inside jokes, “I love you’s” from my family, and “What time will you be here’s” from my friends (not to mention those invisible ninjas…you had to be there). If I start introducing all my book oriented stuff in there it would get pretty messy and it would probably be a little confusing for people who came to take a look at my work. A fan page gives me a place for all book related pictures, videos, announcements, and allows me to reach out specifically on the topics that center on my book. I can also personalize it. Plus, people who are not on Face Book can explore it. It is easier: One remedy I’ve heard people suggest is creating two personal pages, one devoted to their work and one devoted to their everyday lives. This is a decent idea and it might work for some people, but I really don’t want get into creating and maintaining two entirely separate accounts. I can administrate my Fan Page through my main account and easily share applications, like the Network Blog app that allows me to promote my blog. Anyway, those are my reason and my official announcement that I now have a Fan Page. If you have the time, check it out. I’ve put up never before posted stuff, like the original cover designs for my book. I also have a discussion going on miracles and angels. If you have an opinion on either, please join in. How is it that some people can get away with drawing us in using the same ploy again and again? At the moment, I’m talking of the case of Dwayne Johnson, aka The Rock; a man who made his fame as a big, bad WWF wrestler then made is acting debut playing a sheriff who introduced his opponents to a baseball bat. Know him? If you do, you might also know that over the past few years he’s become star in world of family movies. Why? Because it’s ironic! And somehow that works! Here is a very large, menacing looking actor playing opposite cute little kids who just need his understanding. It’s an attention grabber, but at first glance it also seemed so corny. Then out came Race To Witch Mountain, again pitting big, bad, mean Dwayne Johnson against two willowy, needy kids on the hunt for a flying saucer. Come on! It practically screams corny! But I watched it this weekend and, well, as far as family movies go, it was good. It actually achieved a lot of good suspense. And so this weekend Hollywood once again pits Johnsons’ seemly forever cemented mean guy image against little kids…and the Tooth Fairy? My inclination when I first saw the trailer was to roll my eyes. Can they really continue to get away with this? Once again, it doesn’t seem like the type of movie worth my time…and yet? All right my friends, listen up because I’m only going to say this once. I often stumble upon contests in the world of websites and blogs. A lot of times blogs offer free books to random followers and there usually are a few contests out there for writers looking for a place to send their work. Btw, I just put up a writing contest a friend sent to me. Check it out. As requested, the following is a short quiz that appeared in The Writer magazine. These quick seven questions are supposed to tell you if your current personality is more suited to writing articles or books (either fiction or non-fiction). Just a little fun. :) Tell me what it says you should be. I explained my score in my previous post. Not sure whether articles or books are a better fit? Take this quick quiz. How much time do you spend pitching new ideas to editors? a) A lot of time. I love querying! b) As little time as possible. I’d rather write than pitch. How much research do you do when writing about a particular topic? a) Enough to write the pieces. Then I’m on to the next story. b) More than I can ever use. I like to “go deep” when doing research. How important is your cash flow from freelancing? a) Pretty critical. I need steady cash coming in. b) I don’t count on my freelance income to pay my bills. How much experience do you have as a freelancer? a) Three years or less. b) More than three years. Do you have specialized knowledge in any subject? a) Not really. I know a little about a lot of different things. b) Yes. I’ve become an expert of sorts in one or more areas. How do you feel about having to promote and sell a book after it’s published? a) Less than thrilled. I would rather be at my desk than in front of an audience. b) Excited. I love speaking and would enjoy getting media attention for my titles. What is your attitude towards the editing process? a) I accept it. Every editor knows her publication better than I do. b) I get annoyed. My “voice” is very important to me. How did you do? If you answered mostly A’s, articles may be the best fit for you right now. If you answered mostly B’s, books may be calling your name. Did you answer a few of each? Then a combinations of both may be your best bet. So, my publisher’s printer has brought a new dimension to my book’s cover once more. In a previous post I told you all about how I opened the newest box of my books only to discover the printer had tinged the cover green, leaving my angel looking distinctly alien like. Maybe we’ll call this the girl power edition. What do you think? A friend of mine, who just happened to end up with a copy from this particular printing, is calling this the “magenta series.” Perhaps I’ll have a “blue period” next. What? The pink just made me want to add a little more girliness. And to think, my graphic artist and I worked so hard to get a really ethereal atmosphere on the cover as well as touch on specific points in the story. Who know we just needed a littl more pinkness?